Prime cost in the restaurant industry is different than in other industries. I want to be very clear what prime cost is for the restaurant industry. The prime cost formula is your total cost of goods sold (to be calculated properly requires weekly or monthly inventories to calculate use because purchases divided by sales are NOT accurate), plus your total labor cost, including taxes, benefits and insurance, then divided by your gross sales (sales before discounts, not including sales tax). Cost of goods sold is not your purchases divided by your total sales. You have to have inventories. Beginning inventory plus purchase minus ending inventory gives you use. If you don’t take accurate weekly or monthly inventory, you have to look at a year’s worth of purchases divided by a year’s worth of sales. Labor cost includes taxes, benefits and insurance. It’s not just their hourly wage that comes out of your bank account, but the taxes, benefits and insurance that comes out with each hour of an employee’s wage. Divided by sales? Well, which sales? You should be using gross sales – watch this video to learn about the difference between the gross and net sales. If you have a restaurant that does $850,000 a year or more in gross sales, your new prime cost target is 55 percent or lower! That means for a restaurant that does $1 million a year in sales operating at a 65 percent prime cost, thinking they are doing well, there are 10 points on the table, or $100,000, in bottom-line profitability. This money is available if they are willing to do the work to get it. And the crazy part is the higher your sales, the lower that number can go. I am currently working with more than 300 restaurants and many of them now operate at 50 percent, 42 percent and even as low as 34 percent! They are achieving these low prime costs without changing product quality or levels of service. 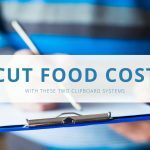 If you would like to learn more about the prime cost formula and how to use systems to hit your target prime cost, read our free special report, Breaking Away from the Insanity: How to easily take control of your restaurant and make more money. Download it here. Be sure to visit our YouTube channel for more helpful restaurant management video tips.